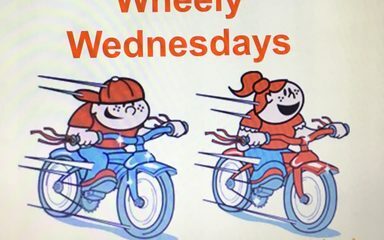 Starting this week, the children in Fell Dyke are going to be taking part in ‘Wheely Wednesdays’. We encourage the children to walk, cycle or scoot to school everyday if possible. 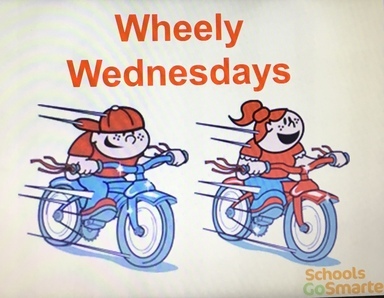 However every Wednesday, the children who bring their bike or scooter into school on a Wednesday will be entered into a draw to win some fantastic prizes. The schools four Cycle Embassadors will be monotoring which bikes and scooters are coming into school. Each child will receive a raffle ticket for bringing their bike or scooter in, all the raffle tickets will go into a prize draw, which will be drawn in the last week of term (before Easter). What a great way to keep fit. Can the adults get involved in this too?